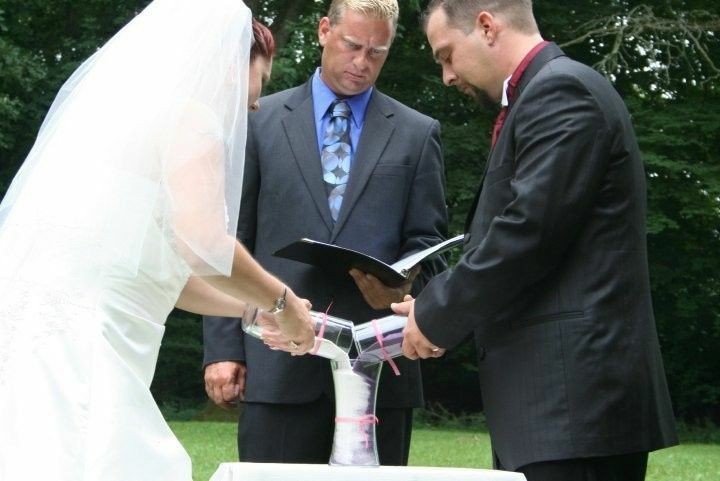 I Now Pronounce You Wedding Services is a flexible wedding officiant in the Zeeland, Michigan area. 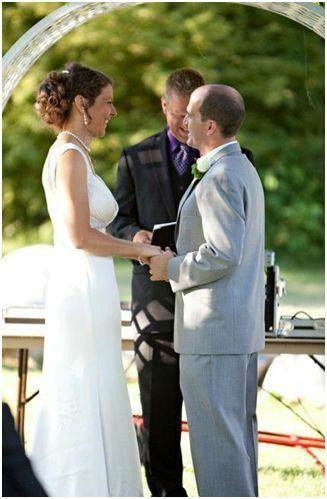 Officiant Kenneth Kibby is an ordained minister who happily helps couples design a wedding ceremony that meets their needs. Whether that means dove releases, unity candles, non-denominational or denominational, Kibby takes care of it all. 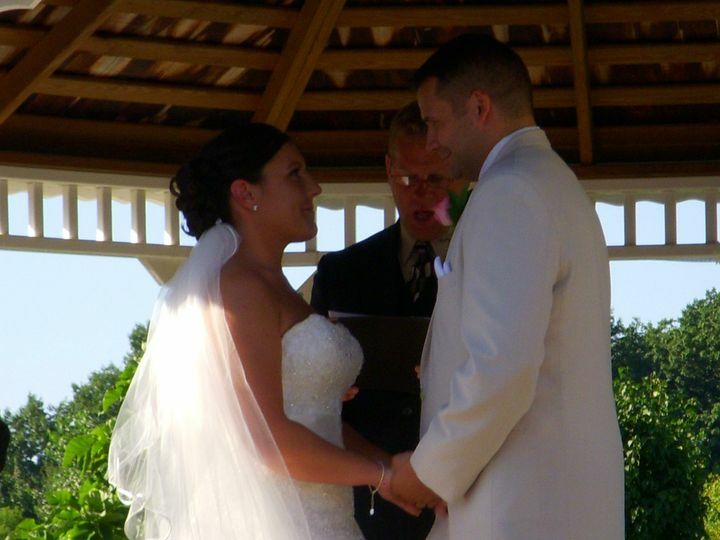 I Now Pronounce You Wedding Services can also provide DJ services for a couple’s reception. 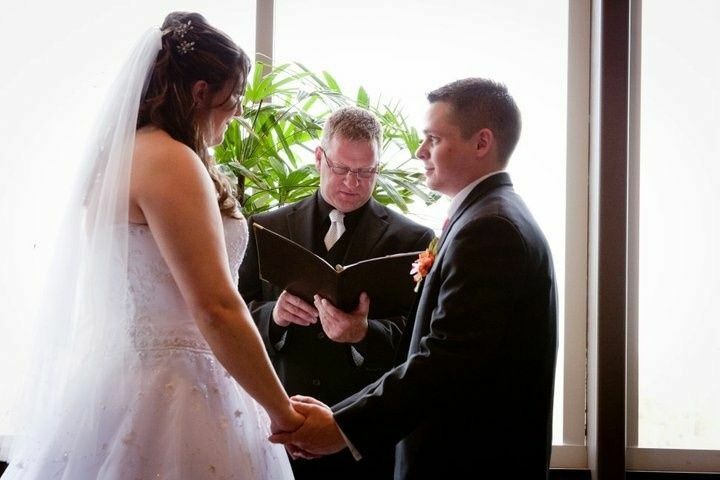 Kibby has been officiating wedding ceremonies in the state of Michigan for more than 12 years. 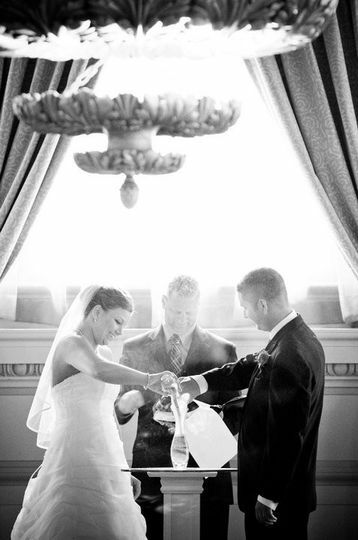 In 2011 and 2013, he was voted West Michigan’s Wedding Minister of the Year. 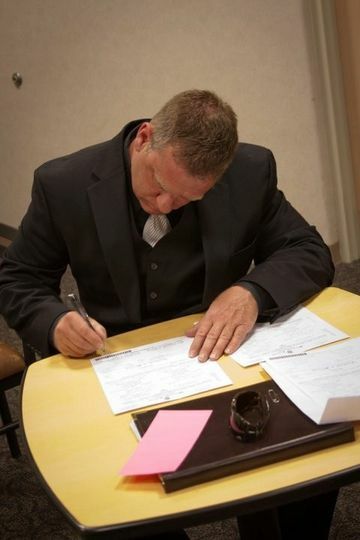 Not only does Kibby have experience with officiating weddings, he has also personally worked as a wedding planner, coordinator, and justice of the peace. Ken was an excellent wedding officiant but an even better DJ! 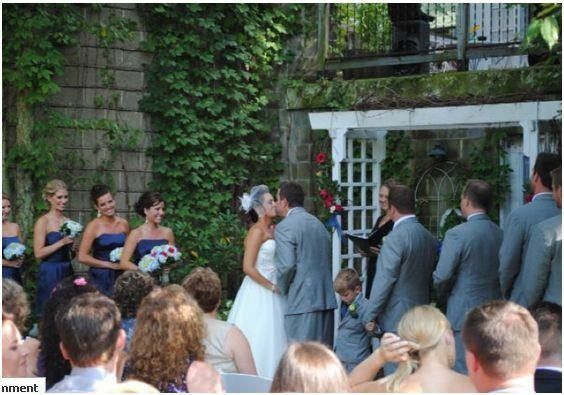 He made our special day go as smoothly as possible and the comments by all my guests were only positives. Ken is highly recommended by this newlywed couple and I think you would only say the same thing if you hired him as well! Ken was amazing! He is professional, organized, and personable. We had many guests compliment his service for our ceremony. I definitely recommend him to any couple looking for someone to perform their wedding. Thank you so much, Jenny and Hal. You guys were so fun to work with and easy going. I Very much appreciate kind words. Kenneth was amazing. He was there for every bit of the planning and anytime I had a question he responded quickly. 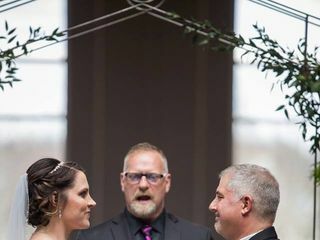 He did an amazing job on our ceremony even though my husband tried rushing through it with an early "I do". Haha fail. The DJ portion was great! He kept everyone interested and everyone dancing!! 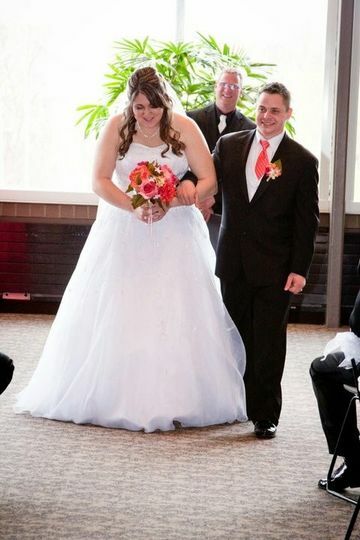 Overall, very satisfied with his service and the amazing job he did for our wedding!! 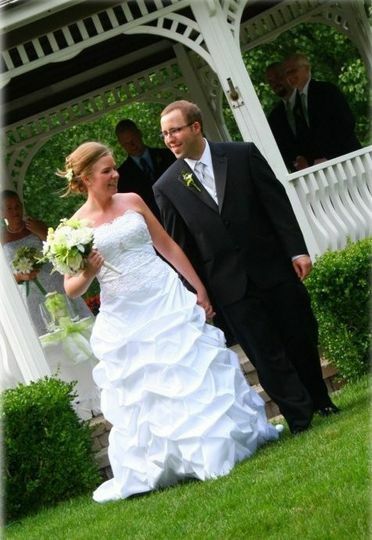 We will handle your entire evening, from your personalized wedding ceremony to the entertainment at your reception. 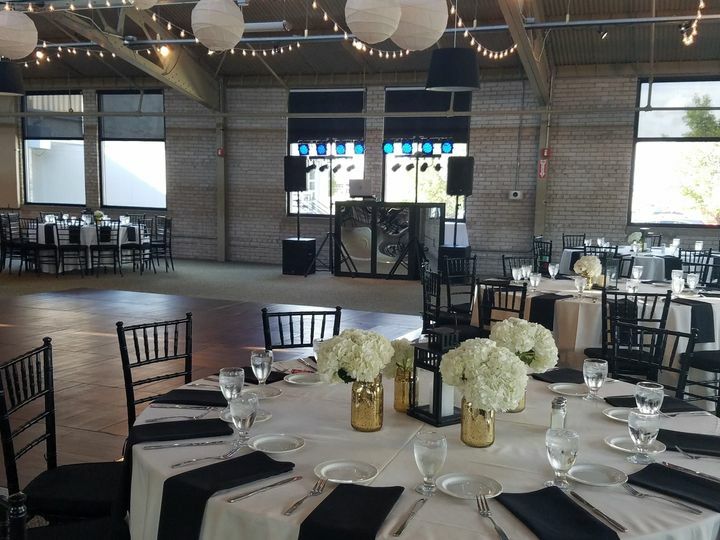 We have a top of the line sound system, along with props to make sure your guests have an unforgettable evening on your special day. Ken does a really nice job with his ceremonies. He&apos;s got lots of options to pick from, and I know you&apos;ll be pleased with the ceremony he can help you prepare!